For use in schools and libraries only. The Thea Sisters participate on a dig at Hierapolis. During their visit to the excavation site, Professor Brenninger unearths a series of priceless and very old figurines. 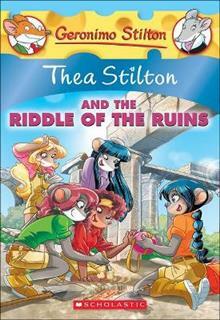 But the Thea Sisters soon figure out that it's a scam. They start to ... read full description below.